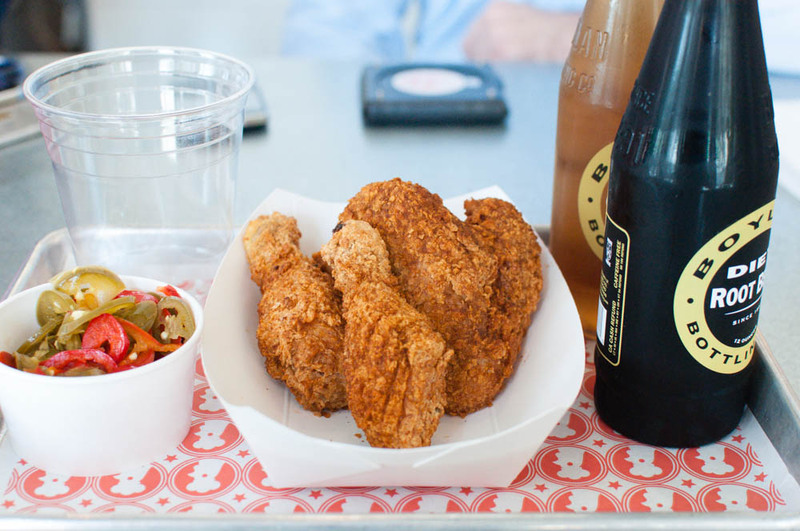 Blue Ribbon Fried Chicken is Finally Here! It’s finally here! 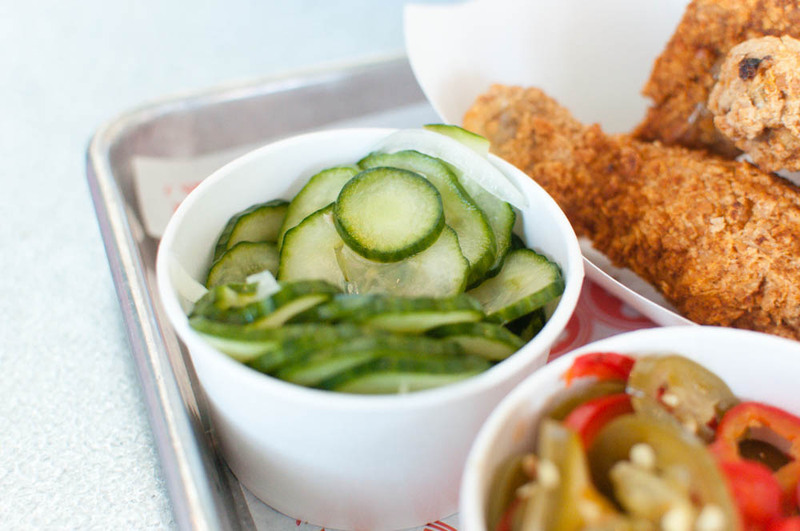 After waiting for what feels like forever, the Blue Ribbon team finally opened their East Village shop dedicated to their famous fried chicken. Even though they might share the same name and same amazing recipes, the look and feel of the restaurant itself is so vastly different than the other Blue Ribbon restaurants that I did a double take. The store is on the corner of 2nd avenue and 1st street with floor to ceiling windows that let in the rays of sunlight, making the restaurant a bright and happy place. 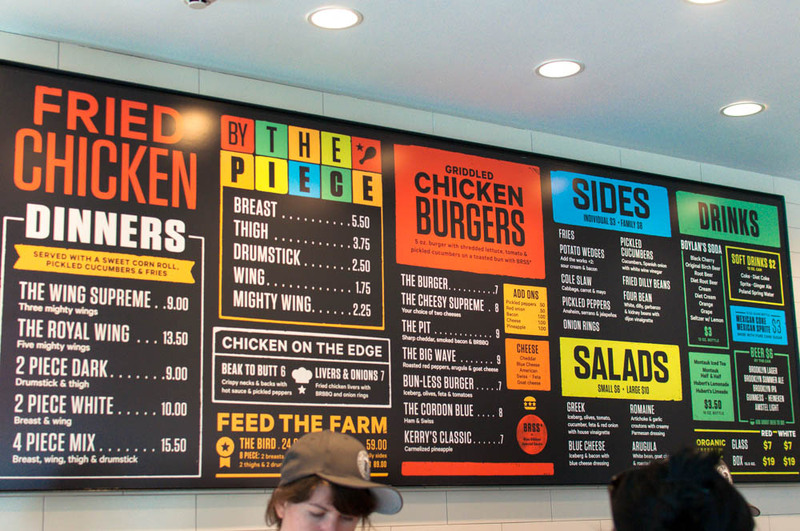 The menu is fairly simple, featuring Blue Ribbon’s famous fried chicken in various varieties with a selection of salads and sides as well as an entire menu of chicken burgers. We stuck with the classics during the first trip here at lunch time. 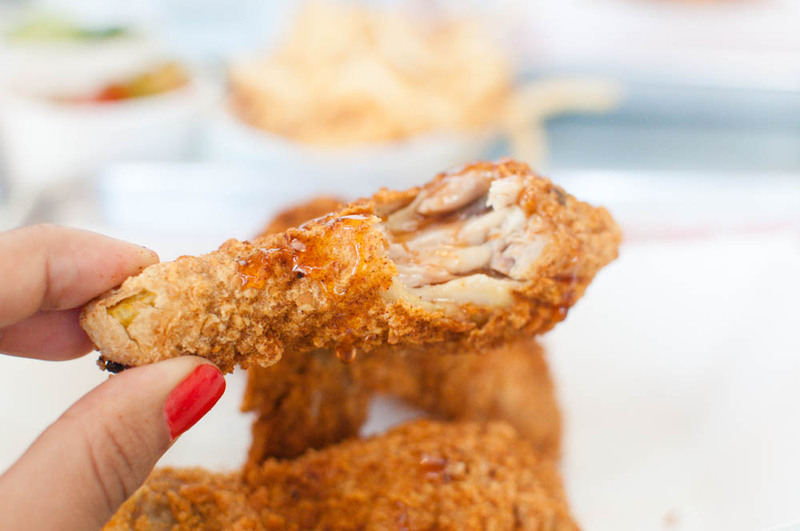 Everyone has their preference when it comes to the pieces and for me, I adore drumsticks and wings. 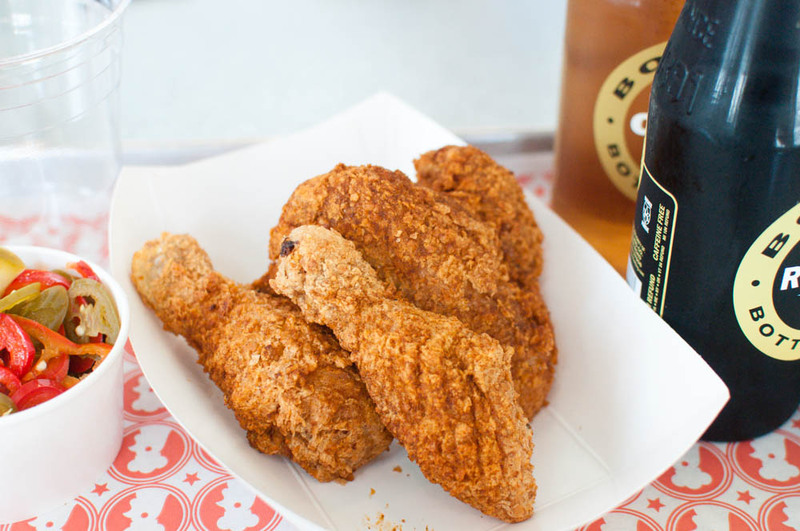 Lucky for me, the wing enthusiast, Blue Ribbon Fried Chicken offers a mighty wing, one that is twice the size of a normal chicken wing. Of course, I don’t need to think twice and ordered one for my plate. The orders were ready within a flash and we settle down in one of the picnic tables, ready to devour the meal. 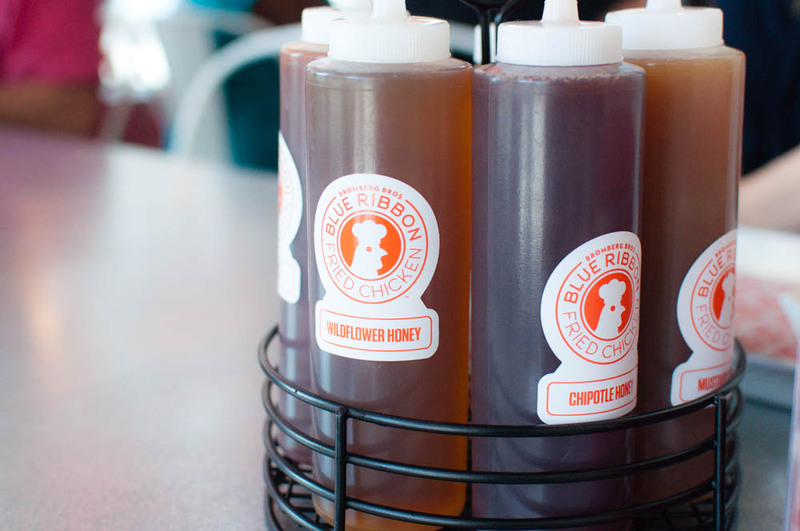 In addition to the typical condiments on the tables, we also found three types of honey, wild flower, chipotle and mustard, as well as some housemade haberno sauce. Faced with so many choices of condiments, I couldn’t help but sample all of them. My favorite combination was the mustard honey with a healthy dash of haberno sauce. The second I sank my teeth into the crispy crunchy skin, I knew these were indeed the real thing made extra crunchy with matzo meal crust. If you listen carefully, you will hear it shatter, revealing a juicy and moist inside. One small gripe I had was that the meat could have been a little better seasoned but for my lunch buddies, this was perfectly seasoned. I guess not everyone has such a heavy palette as myself. To go with our chicken, we added in a few sides. 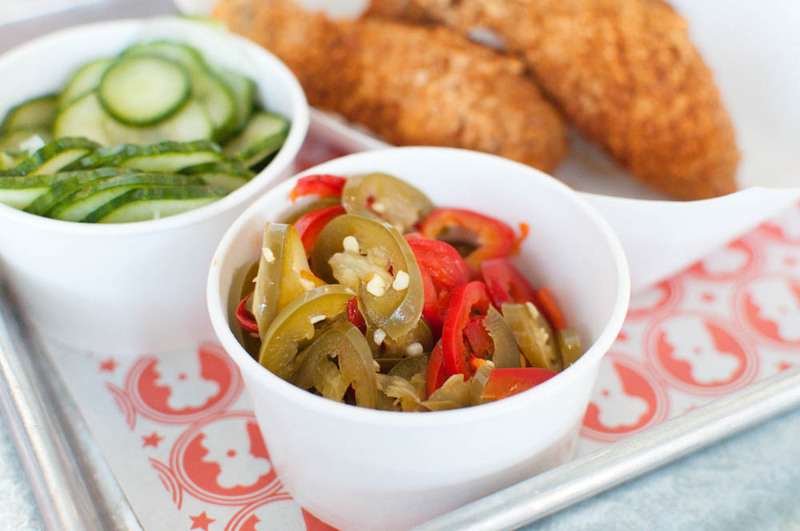 A small side of pickled hot peppers, cooling cucumbers and crispy thin fries. 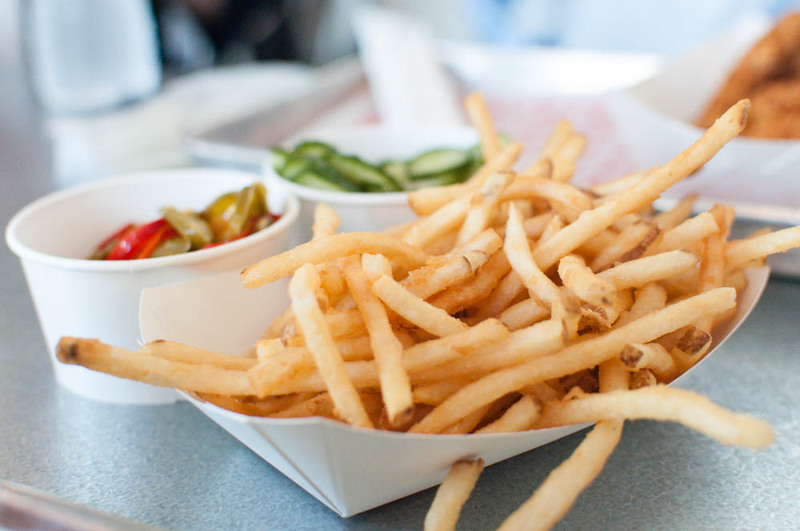 Even though the fries might just look like any other fast food fries, these were definitely worth making room for. They are extra crispy but still creamy inside with a well seasoned outside. Definitely top notch. 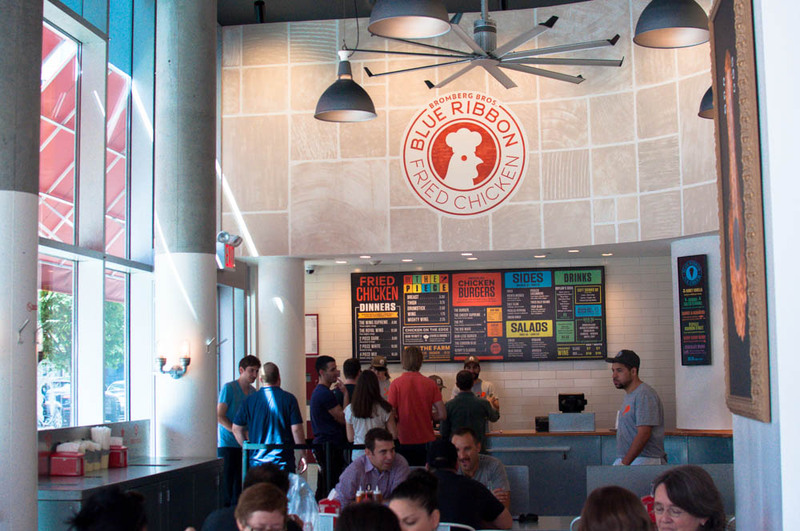 Sure, the opening of Blue Ribbon Fried Chicken might have taken much longer than anticipated but the food was well worth the wait. 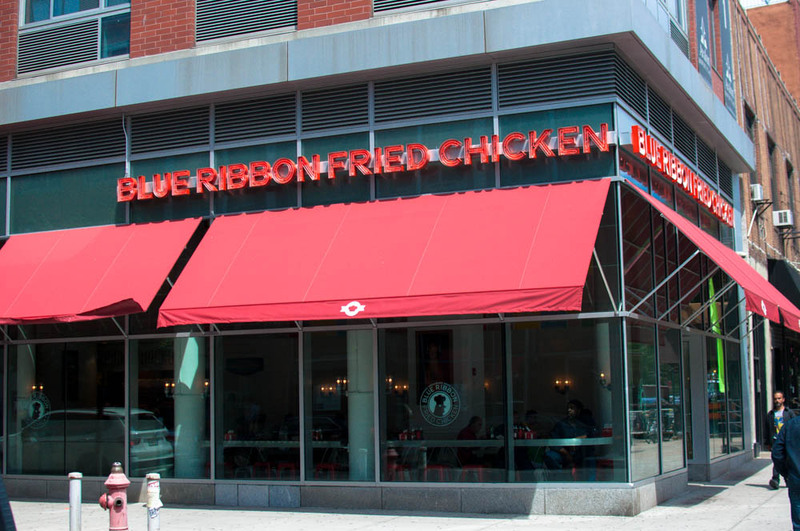 After all, there can never be enough fried chicken in the city, especially when it comes to Blue Ribbon’s incredibly crispy juicy version and to be able to enjoy it without having to wait for a table at the original Blue Ribbon Brasserie is just an extra bonus.